I try to be productive. Some days I am at the top of my game, whipping up amazing videos for facebook that get 1,000s of views and doing a happy dance over my creative achievements. And then there are days like today, when I have a Nickelback song stuck on repeat in my brain and I cannot focus on diddly-squat because I’m repeating “I’ll have the quesadilla.” over and over in my head all day long. 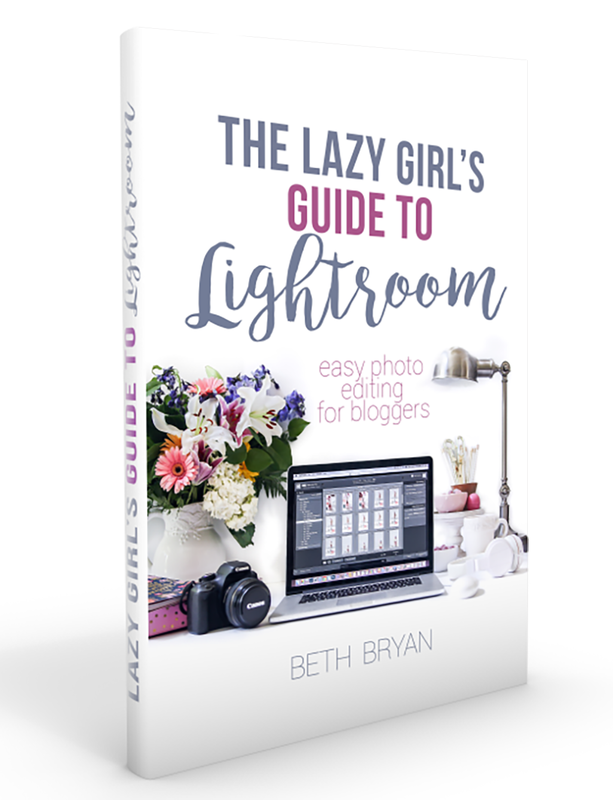 These are the days when I feel like a useless lump of a blogger. An utter joke. I know that I will get nothing important done on these days. Instead of accomplishing the truly urgent things on my to-do list, I spend hours on things that are total non-emergencies, like topping off all of the foaming hand soaps in my house and rewriting my entire media kit in case some big brand decides they want to hire me for their next ad campaign. THEN there are days like yesterday. 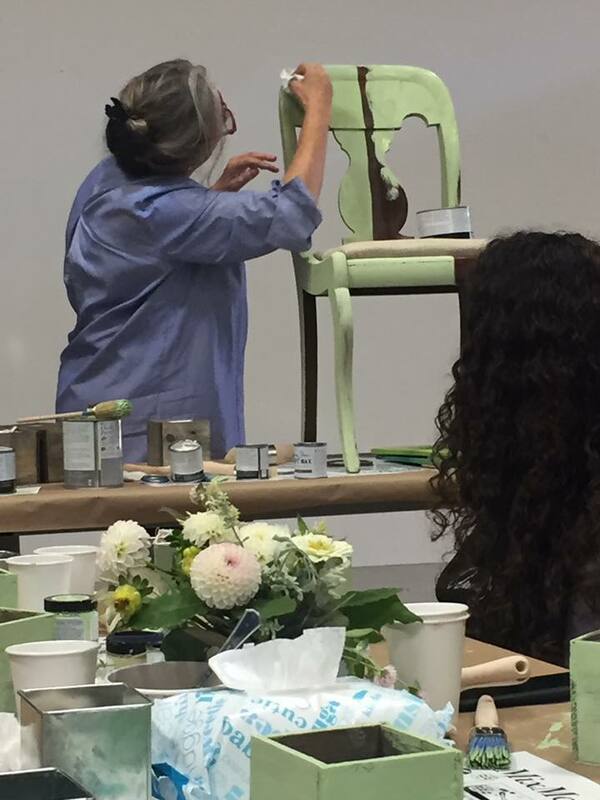 Yesterday I sat in a painting workshop with every major magazine that has an office in the city of Birmingham (think: Southern Living, Country Living, Coastal Living, Southern Lady, Victoria, Good Grit and Tea Time Magazine). 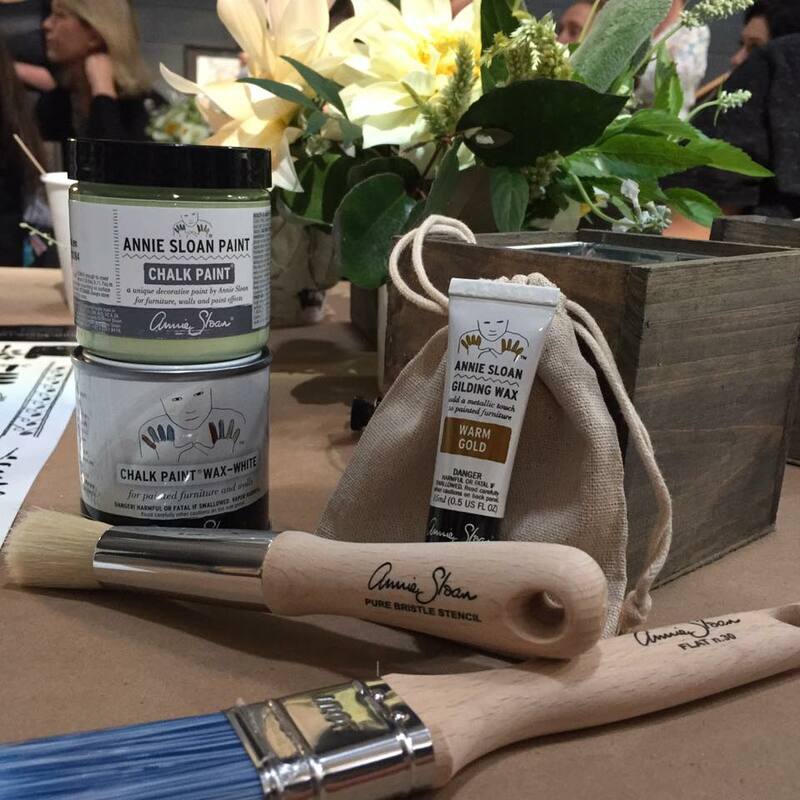 We had all been invited to an event to promote the newest Annie Sloan Chalk Paint color, but guess who was also there? 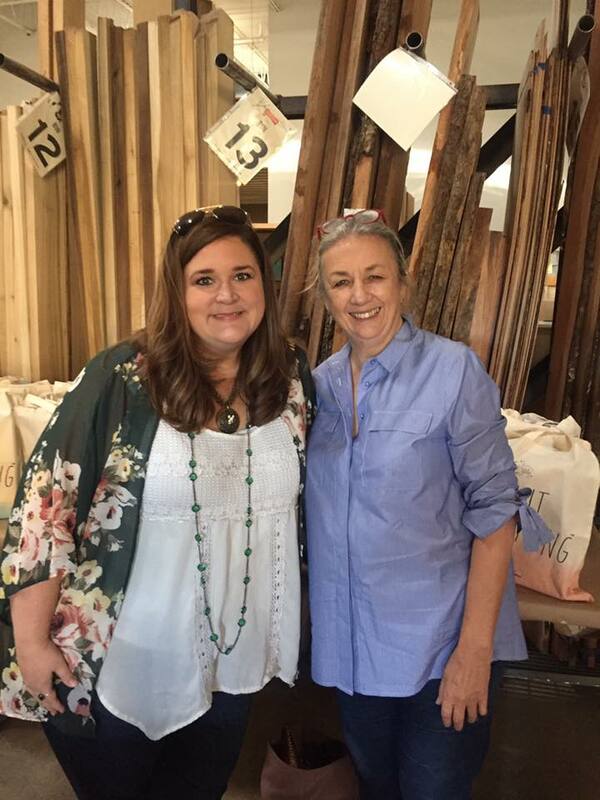 THE Annie Sloan Herself, y’all! I got a chance to paint right alongside the Master of faux finishes yesterday. 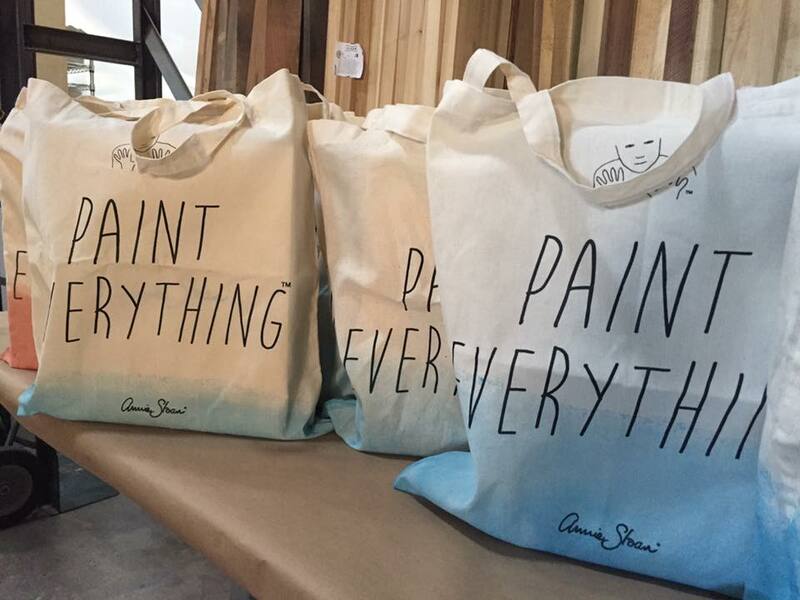 She was in town to promote her newest limited-edition Chalk Paint color, called Lem Lem. Hold up. WHY did she name it Lem Lem, you ask? Well, it’s a very beautiful story about Annie’s trip to Ethiopia with Oxfam (which is kinda like the UK’s version of The Red Cross). 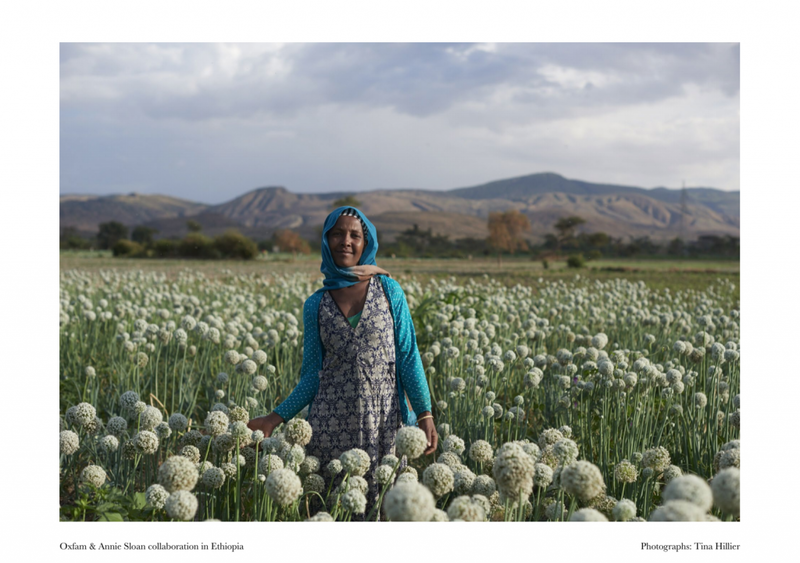 She met Ethiopian women who were supporting their families by working in the onion fields. The onion fields were verdant and green and supplying a life-sustaining income to these women. Lem Lem is an Ethiopian phrase that means verdant, green and supplying life, so that inspired the name of this limited edition paint. Totally appropriate, dontcha think? Here is my wooden box I painted with layers of Lem Lem and copper gilding wax to form the perfect faux-patina. A portion of the proceeds from each can of Lem Lem will go toward supporting Oxfam’s charity work. Annie hopes to raise £250,000 (which is approx the same amount of $$$s) over three years. I have no doubt she can do it. Yesterday was a REALLY fun day. But today? Today, it’s right back to avoiding my to-do list by organizing my sock drawer and cleaning out my hairbrushes whilst humming a Nickelback tune and polishing off sleeves of Ritz crackers instead of eating any actual lunch. I’m pretty sure this is what self-sabotage feels like. Please tell me I’m not the only one who has days like this. This is a beautiful color and story. ?? Every second counts cuz there’s no second try, so live like you’ll never live it twice. Sweet Beth, not only do I have days like this, but sometimes weeks. Going through it right now. I laughed when you said that you topped off your hand soap dispensers because I did that too just yeasterday, and then organized my sock drawer by color, then ate two ice cream sandwiches and called that lunch. So yes, you’re not alone. 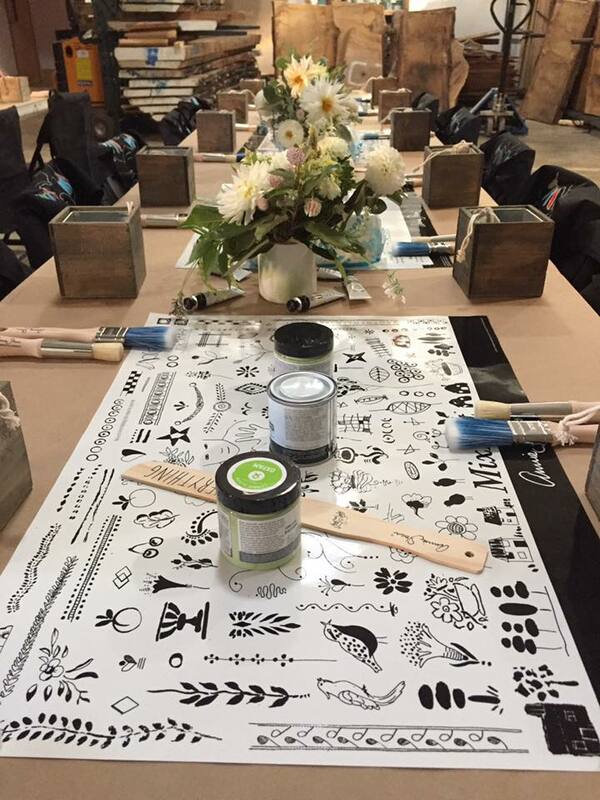 I loved this post and am so thrilled you got to meet Annie Sloan and be among such great company. Thank you so much for writing this. 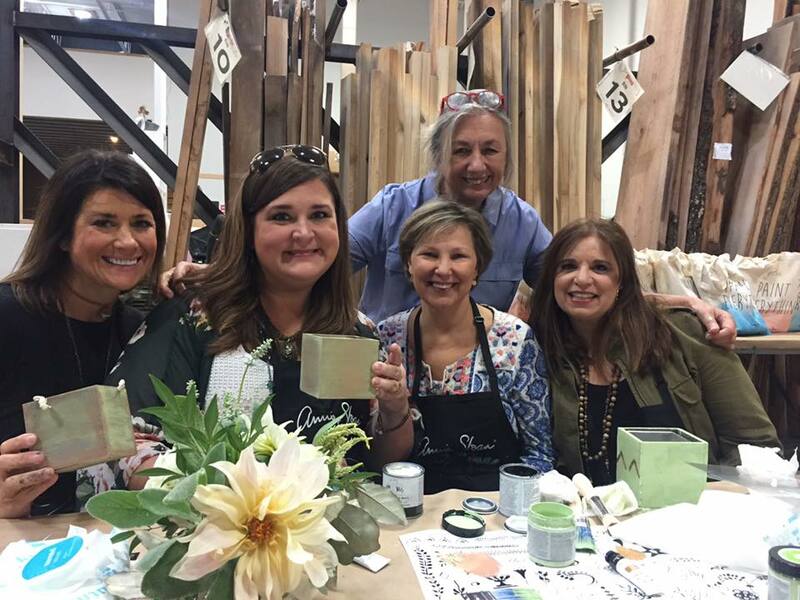 So cool that you were able to meet Annie Sloan! I love that color and the mission! and now I have that Nickelback song stuck in my head! Thankyouverymuch! I love the way you write. I’m sure that the majority of us have days just like you described and I’m sure Ritz crackers are on someone’s “wonder” cure all diet. The Annie Sloan story was great. And aren’t we glad that God’s mercies are new every morning. Beautiful color and story! 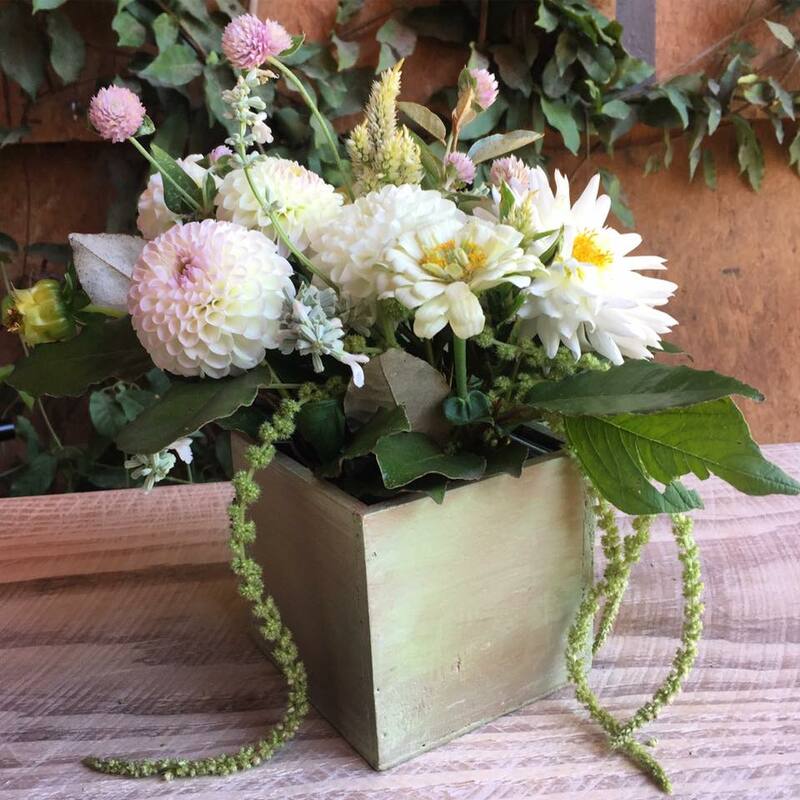 I love the square container for floral arrangements and the whites are beautiful!